The goal of our Orthopedic Rehabilitation Program is to return you home ready to resume an active, productive lifestyle following orthopedic injury or surgery. Most of our patients return home within one or two weeks. We serve patients with diagnoses such as unilateral and bilateral knee replacements, unilateral and bilateral hip replacements, hip resurfacing, lower extremity fracture, and multiple traumas. Within a safe, secure and structured environment, you will receive intensive therapy six times a week. 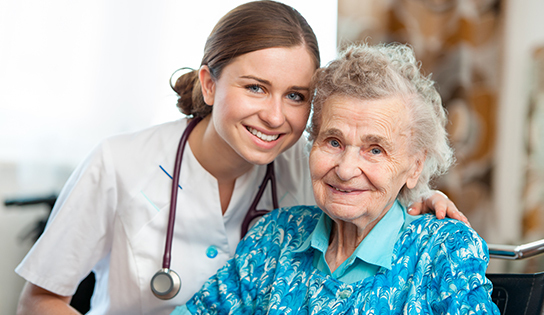 Rehabilitation nursing and access to a physician is available 24 hours a day, seven days a week. Throughout your treatment, the entire team meets formally on a regular basis to discuss your progress. Family members and caregivers are encouraged to attend and participate in treatment sessions and patient care as appropriate. You will receive ongoing training from each discipline throughout your stay in order to achieve your goals. Our goal-oriented approach is to get you back home to Smithtown, NY leading the life you love, as quickly as possible. Smithtown is a town in Suffolk County, New York, United States, on the North Shore of Long Island. The population was 117,801 at the 2010 census. The census-designated place of Smithtown lies within the town’s borders. The town was first settled around 1665. Local legend has it that after rescuing a Native American Chief’s kidnapped daughter, Richard Smith was told that the Chief would grant title to all of the land Smith could encircle in one day – on a bull. Richard Smith chose to ride the bull on the longest day of the year (summer solstice) – to enable him to ride longer “in one day”. The land he acquired in this way is said to approximate the current town’s location.